In a step toward creating renewable engine fuels that are well-matched with current diesel fuel infrastructure, scientists report they can turn wet biowaste, such as food scraps and swine manure, into a fuel that can be mixed with diesel and that shares diesel’s combustion efficiency and emissions profile. The scientists report the findings in the journal Nature Sustainability. “The demonstration that fuels produced from wet waste can be used in engines is a huge step forward for the development of sustainable liquid fuels,” said Brajendra K. Sharma, a research scientist with the Illinois Sustainable Technology Center at the University of Illinois’ Prairie Research Institute and the study’s co-author. 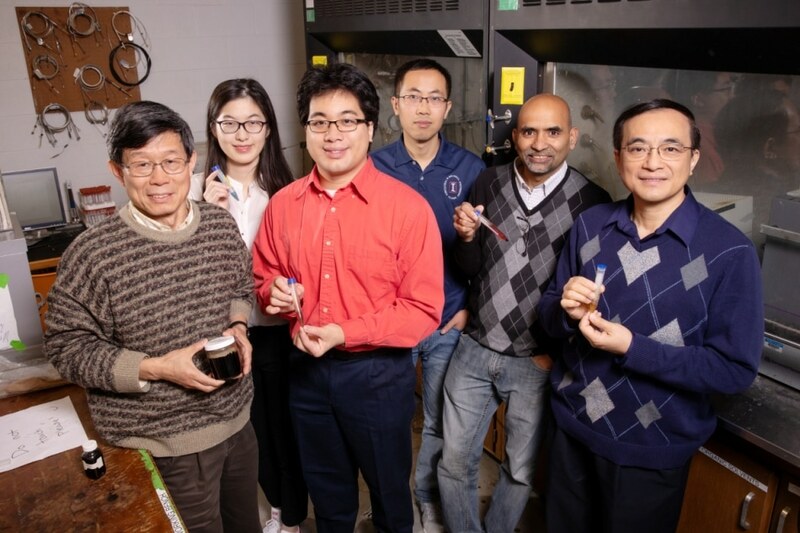 University of Illinois agricultural and biological engineering professor Yuanhui Zhang led the study. His former graduate student Wan-Ting (Grace) Chen is the first author of the paper and a professor at the University of Massachusetts, Lowell. Mechanical science and engineering professor Chia-Fon Lee and graduate student Timothy Lee led the engine tests. “The United States annually produces 79 million dry tons of wet biowaste from food processing and animal production,” with more anticipated as urbanization increases, the scientists wrote. One of the major obstacles to extracting energy from this waste is its water content. Drying it necessitates nearly as much energy as can be extracted from it. Hydrothermal liquefaction is a possible solution to this issue as it uses water as the reaction medium and changes even non-lipid (non-fatty) biowaste components into biocrude oil that can be additionally processed into engine fuels, the scientists report. Earlier studies have faltered in attempting to distill the biocrude produced through HTL into stable, usable fuels, however. For the new study, the team integrated distillation with a process called esterification to convert the most favorable fractions of distilled biocrude into a liquid fuel that can be mixed with diesel. The fuel matches existing standards and specifications for diesel fuel. Our group developed pilot-scale HTL reactors to produce the biocrude oil for upgrading. We also were able to separate the distillable fractions from the biocrude oil. Using 10-20 percent upgraded distillates blended with diesel, we saw a 96-100 percent power output and similar pollutant emissions to regular diesel. Wan-Ting (Grace) Chen, Study First Author, Professor, University of Massachusetts, Lowell.